Although it ended in a 1-1 draw Leipzig vs Dortmund was an intriguing affair with both teams playing with plenty of pace and creativity. Jean-Kévin Augustin opened the scoring for Leipzig. Marco Reus once again with a crucial goal. Both teams will be in action in the Europa League on Thursday. With two teams looking to play wide open football both Dortmund and Leipzig had space to explore and Timo Werner in the ninth minute almost capitalised from an error committed by Manuel Akanji but was stopped by Roman Bürki in the one against one situation. Just one minute later Michy Batshuayi had his first chance of the game receiving the ball inside the box he turned and let a shot fly, Peter Gulacsi stretched himself and got a hand on the ball. Dortmund then created two big chances in the 15th and 16th minute with André Schürrle, Marco Reus and Michy Batshuayi being the main protagonists, but both times the trio was rightfully called back for being offside. Instead, it was Leipzig, who would open the scoring. Schürrle lost the ball in midfield to Naby Keïta, who spotted Jean-Kévin Augustin racing towards the box and the French striker converted the perfect pass to make it 1-0 for Leipzig. Dortmund struggled to get back into the match and finally in the 39th minute found the equaliser with Mahmoud Dahoud playing a fantastic long pass into Marco Reus’ run and the attacking midfielder went one-on-one against Gulacsi circling the keeper and slotting the ball home. The first half ended with both teams on even footing in what was an intriguing first half with both teams playing open and attractive football. It was a more temperate start to the second half. Both teams had a “let’s wait and see” approach to the second 45 minutes, which mean that the majority of the play took place in midfield with both teams looking for an opening that would break the deadlock. In the 63rd minute, Dortmund should have taken the lead. Dahoud slalomed through Leipzig’s defence towards the byline and found Batshuayi wide open at the doorstep, just a yard out the Belgian forward failed to make contact with the ball. The Dortmund chance opened the game up a bit with both teams now more actively looking for what could be the decisive moment of the game. With the game at a deadlock, both sides made adjustments to their respective sides. Most significantly BVB head coach Peter Stöger brought on Maximilian Philipp, who had suffered a nasty knee injury in the Hinrunde. But it was Leipzig’s Bruma that almost had the winning touch in the 86th minute. Slaloming through BVB’s defence, he attempted to curl the ball from a tight angle, and the shot just about missed Bürki’s goal. 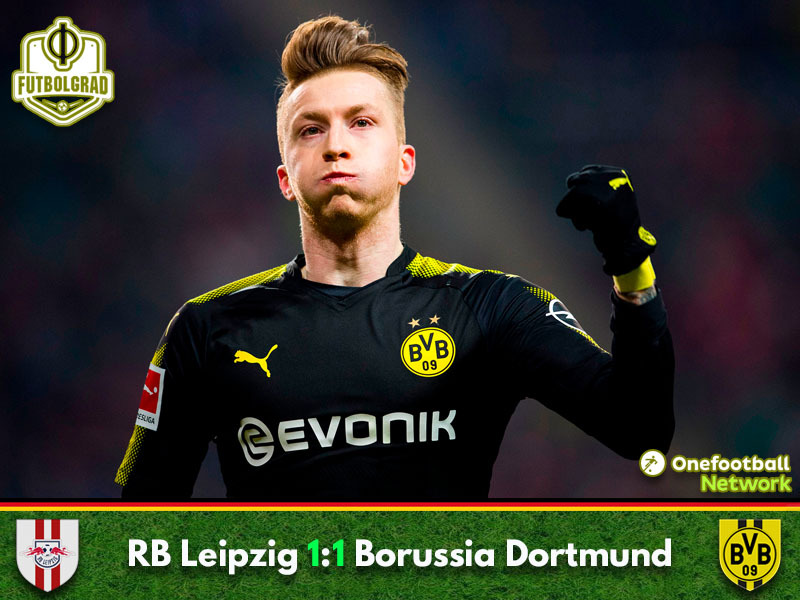 It was the final chance of the game on either side as Leipzig and Dortmund held each other to a 1-1 draw in what was a high paced and intriguing game. Mahmoud Dahoud has seen an increase in playing time under Peter Stöger, and the German youth international seems to slowly but surely regain the form that made him the most sought after prospect in German football last season. 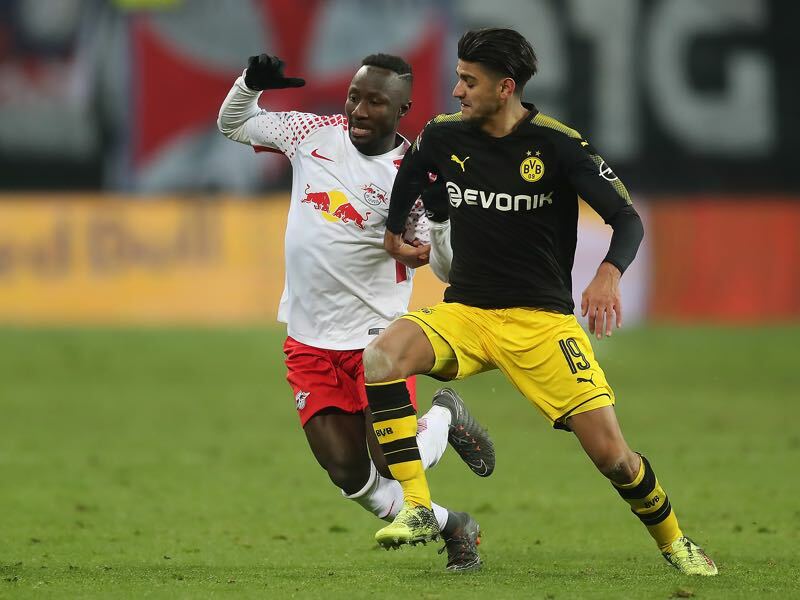 Against Leipzig, Dahoud played the key pass to Reus, had seven tackles, one interception, won 13 of his 21 duels and completed 80.4% of his passes. It was an intriguing match, but towards the end of the second half, one got a sense that both teams were somewhat conserving their energy. Both Leipzig (against Zenit) and Dortmund (Salzburg) will be on Europa League duty on Thursday. Marco Reus has now scored three Bundesliga games in a row – Reus has now scored against all 18 active Bundesliga sides. Reus’ goal against Leipzig was also the first BVB goal scored against Leipzig in which Pierre-Emerick Aubameyang was not the scorer. Augustin has now scored the opening goal three times in a row, and for the first time Leipzig did not end up losing the game.